Gardens are by far the most popular spaces for urban agriculture. More and more gardens are breaking up the urban landscape, whether they come with your house, are shared with the neighbourhood residents or are used as a means for helping people in a precarious situation. 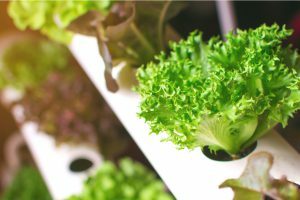 Urban agriculture can take on many forms, but gardens account for most of the urban agriculture in cities. They are not limited to private gardens, which designate gardens behind houses as well as container gardening and roof gardens. 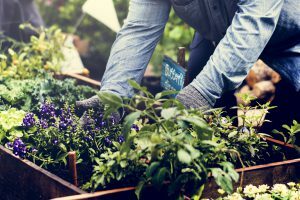 There are plenty of other ways to garden in the city, including family allotments, community gardens and back to work gardening schemes. City dwellers mainly use these gardens for their food supply, but they are also a leisure space where people interact with each other and with nature. Initially called workers’ gardens, these allotments, which exist separately without a house, became more widespread in cities after the Industrial Revolution. Workers who left the countryside to work in the industrialised cities found it very difficult to be self-sufficient. While allotment gardening was mainly designed to supply food, nowadays it has become a leisure activity for many city dwellers. Berlin has just under 68,000 allotments and there are over 240,000 in the Netherlands alone! In France, allotment gardens fell out of favour after World War II, and today there are just 9,000. They are defined by a legal framework and are managed by non-profit associations (under the law of 1901). These gardens are tended to by amateur gardeners in exchange for an annual subscription. The gardeners must use their harvest to feed their own households. The land may not be used for commercial purposes. The waiting list is long and people have been known to wait many years before they assigned an allotment. At the end of the 1990s, the first community gardens sprung up in Montreal and today the city has 87 in total. The term community garden refers to a single parcel of land, on which a group of members divides the agricultural work and the harvest between them. Most community gardens have a manager, who provides gardening training and support to the members and helps facilitate the collective decision-making process. These initiatives allow the participants to develop agricultural skills. In France, this type of garden led to the creation of back to work gardening schemes. The plots are managed by associations and are used by people in a precarious situation in order to encourage their social and occupational integration. 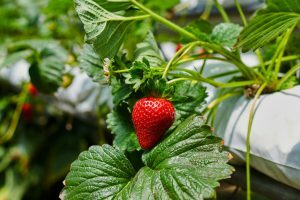 Check out our gardening tips in our My Garden section if this interests you and you would like to get started with urban agriculture! Source: Lagneau A. et al., Agriculture urbaine: Vers une réconciliation ville-nature, Neuvy-en-champagne, Le passager clandestin, 2015.